Utah state has 4 schools ranked in top 500 ranking by Forbes Top Colleges. Brigham Young University-Provo takes the first place in Utah State (Overall Ranking - 75th) among 82 colleges located in Utah state. University of Utah (Overall Ranking - 143rd) and Utah State University (Overall Ranking - 265th) are positioned second and third place. Next table shows general information of colleges located in Utah state. There are 17 public and 65 private schools in Utah State. 80 schools have undergraduate program (including Associate degree and Certificate Program) and 25 schools have graduate program. Average tuition cost for undergraduate school in Utah is $ 5,485 for in-state and $ 6,408 for out-of-state. Average graduate tuition is $ 2,768 for in-state and $ 3,683 for out-of-state. Next table summarize Utah Best colleges with State and Overall Ranking. You can see the detail information including admission, graduation and enrolment statistics of the schools by following links on the school name. You can analyze and compare tuition of Utah best colleges with tuition table and charts. In Addition you can compare tuition and financial aids with more factors such as living costs and grants for the Utah best colleges at Utah best college tuition comparing page. Vermont state has 4 schools ranked in top 300 ranking by Forbes Top Colleges. Middlebury College takes the first place in Vermont State (Overall Ranking - 41st) among 29 colleges located in Vermont state. Bennington College (Overall Ranking - 145th) and University of Vermont (Overall Ranking - 156th) are positioned second and third place. Next table shows general information of colleges located in Vermont state. There are 8 public and 21 private schools in Vermont State. 26 schools have undergraduate program (including Associate degree and Certificate Program) and 23 schools have graduate program. Average tuition cost for undergraduate school in Vermont is $ 17,664 for in-state and $ 20,245 for out-of-state. Average graduate tuition is $ 13,267 for in-state and $ 15,349 for out-of-state. Next table summarize Vermont Best colleges with State and Overall Ranking. You can see the detail information including admission, graduation and enrolment statistics of the schools by following links on the school name. You can analyze and compare tuition of Vermont best colleges with tuition table and charts. In Addition you can compare tuition and financial aids with more factors such as living costs and grants for the Vermont best colleges at Vermont best college tuition comparing page. Virginia state has 9 schools ranked in top 200 ranking by Forbes Top Colleges. Washington and Lee University takes the first place in Virginia State (Overall Ranking - 21st) among 173 colleges located in Virginia state. University of Virginia-Main Campus (Overall Ranking - 29th) and College of William and Mary (Overall Ranking - 44th) are positioned second and third place. Next table shows general information of colleges located in Virginia state. There are 47 public and 126 private schools in Virginia State. 164 schools have undergraduate program (including Associate degree and Certificate Program) and 91 schools have graduate program. Average tuition cost for undergraduate school in Virginia is $ 10,041 for in-state and $ 12,125 for out-of-state. Average graduate tuition is $ 6,800 for in-state and $ 8,490 for out-of-state. Next table summarize Virginia Best colleges with State and Overall Ranking. You can see the detail information including admission, graduation and enrolment statistics of the schools by following links on the school name. You can analyze and compare tuition of Virginia best colleges with tuition table and charts. In Addition you can compare tuition and financial aids with more factors such as living costs and grants for the Virginia best colleges at Virginia best college tuition comparing page. Washington state has 7 schools ranked in top 300 ranking by Forbes Top Colleges. University of Washington-Seattle Campus takes the first place in Washington State (Overall Ranking - 55th) among 125 colleges located in Washington state. Whitman College (Overall Ranking - 62nd) and University of Puget Sound (Overall Ranking - 161st) are positioned second and third place. Next table shows general information of colleges located in Washington state. There are 44 public and 81 private schools in Washington State. 118 schools have undergraduate program (including Associate degree and Certificate Program) and 51 schools have graduate program. Average tuition cost for undergraduate school in Washington is $ 7,914 for in-state and $ 9,701 for out-of-state. Average graduate tuition is $ 7,021 for in-state and $ 8,333 for out-of-state. Next table summarize Washington Best colleges with State and Overall Ranking. You can see the detail information including admission, graduation and enrolment statistics of the schools by following links on the school name. You can analyze and compare tuition of Washington best colleges with tuition table and charts. In Addition you can compare tuition and financial aids with more factors such as living costs and grants for the Washington best colleges at Washington best college tuition comparing page. Wisconsin state has 5 schools ranked in top 300 ranking by Forbes Top Colleges. University of Wisconsin-Madison takes the first place in Wisconsin State (Overall Ranking - 68th) among 126 colleges located in Wisconsin state. Lawrence University (Overall Ranking - 167th) and Marquette University (Overall Ranking - 176th) are positioned second and third place. Next table shows general information of colleges located in Wisconsin state. There are 33 public and 93 private schools in Wisconsin State. 118 schools have undergraduate program (including Associate degree and Certificate Program) and 69 schools have graduate program. Average tuition cost for undergraduate school in Wisconsin is $ 9,626 for in-state and $ 10,820 for out-of-state. Average graduate tuition is $ 6,352 for in-state and $ 7,890 for out-of-state. Next table summarize Wisconsin Best colleges with State and Overall Ranking. You can see the detail information including admission, graduation and enrolment statistics of the schools by following links on the school name. You can analyze and compare tuition of Wisconsin best colleges with tuition table and charts. In Addition you can compare tuition and financial aids with more factors such as living costs and grants for the Wisconsin best colleges at Wisconsin best college tuition comparing page. Wyoming state has 1 schools ranked in top 200 ranking by Forbes Top Colleges. 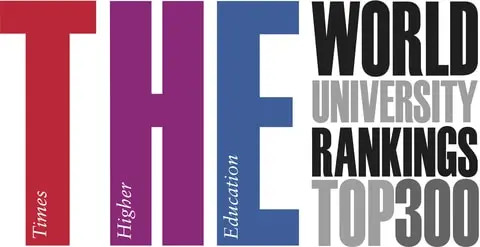 University of Wyoming takes the first place in Wyoming State (Overall Ranking - 199th) among 12 colleges located in Wyoming state. Next table shows general information of colleges located in Wyoming state. There are 8 public and 4 private schools in Wyoming State. 12 schools have undergraduate program (including Associate degree and Certificate Program) and 4 schools have graduate program. Average tuition cost for undergraduate school in Wyoming is $ 3,178 for in-state and $ 5,679 for out-of-state. Average graduate tuition is $ 927 for in-state and $ 2,695 for out-of-state. Next table summarize Wyoming Best colleges with State and Overall Ranking. You can see the detail information including admission, graduation and enrolment statistics of the schools by following links on the school name. You can analyze and compare tuition of Wyoming best colleges with tuition table and charts. In Addition you can compare tuition and financial aids with more factors such as living costs and grants for the Wyoming best colleges at Wyoming best college tuition comparing page. We analyze Northern Marianas state tuition and costs by school type, level, and degree. Each table summarizes tuition costs and we show graphical charts for the summarizing tables. There are 1 public and 0 private schools in Northern Marianas State. 1 schools have undergraduate program (including Associate degree and Certificate Program) and 0 schools have graduate program. Average tuition cost for undergraduate school in Northern Marianas is $ 1,140 for in-state and $ 2,280 for out-of-state. Average graduate tuition is $ 0 for in-state and $ 0 for out-of-state. Next table and chart show the tuition, fees, and living costs for Undergraduate Schools in Northern Marianas State. Northern Marianas Undergraduate Schools are listed at Northern Marianas Undergraduate Schools page. Next table and chart show the tuition, fees, and living costs for Graduate Schools in Northern Marianas State. Northern Marianas Graduate Schools are listed at Northern Marianas Graduate Schools page. Next table and chart show the tuition, fees, and living costs for Public Schools in Northern Marianas State. Northern Marianas Public Schools are listed at Northern Marianas Public Schools page.